During advent season, usually we set up the advent wreath and each Sunday light the appropriate candle. 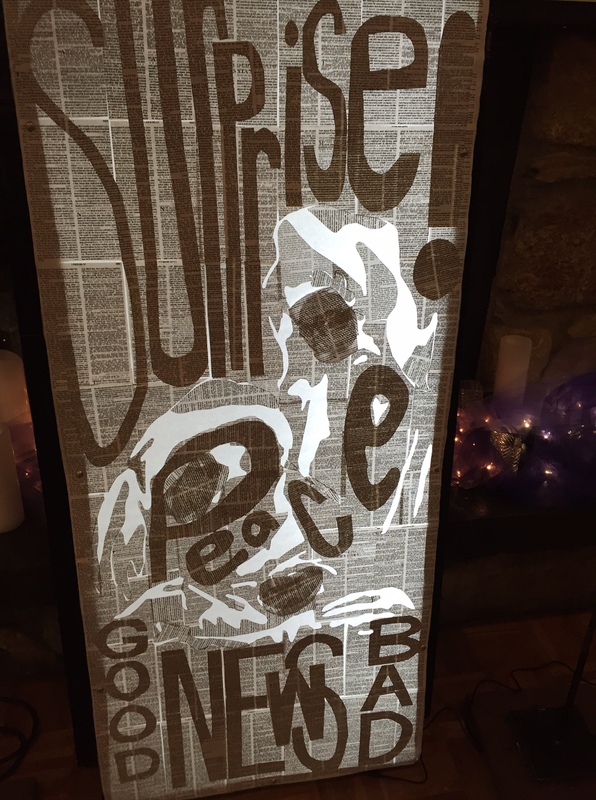 As an alternative, I created a light box, where each Sunday words and text were illumined according to the scripture passage of that particular advent Sunday. I was inspired by Phil Hansen’s piece on Rosa Parks. 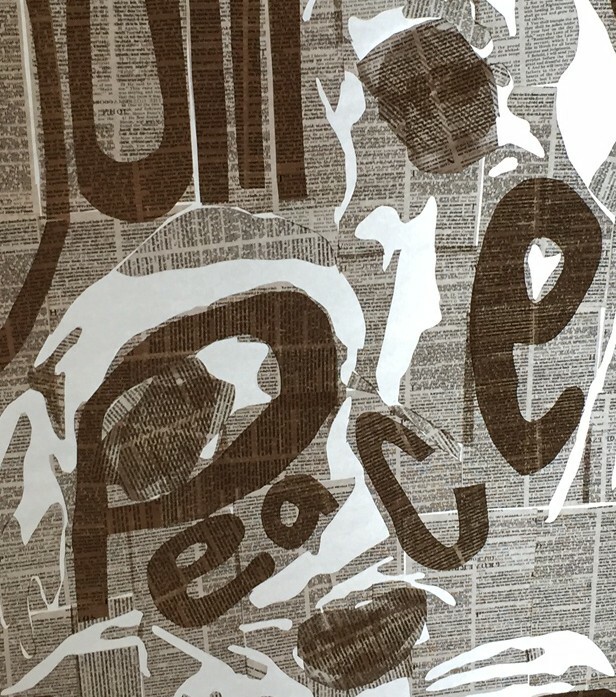 Hansen used biblical passages to create the image of Rosa Parks. 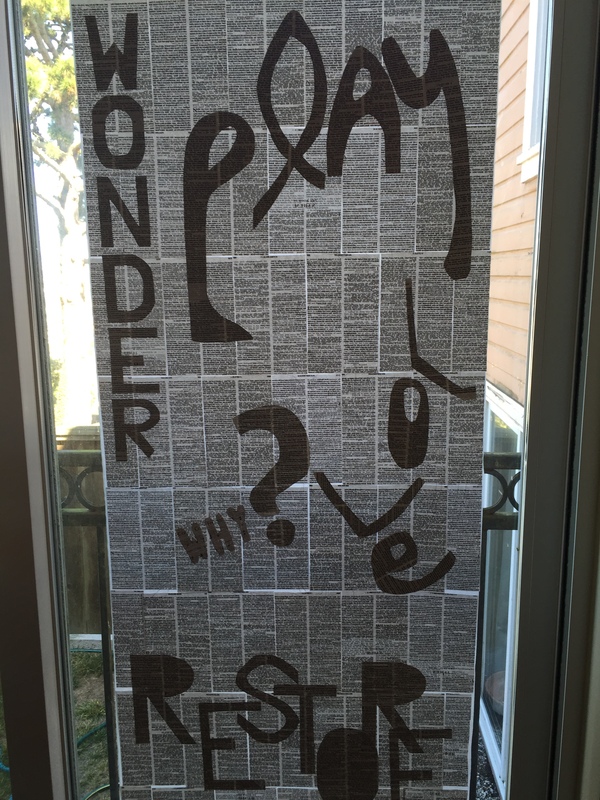 By overlapping the texts, he created shading and shadows to create depth. First, you need to make a light box. Depending on how much you want to spend and how durable you want it to be will determine the materials you choose to create the light box. Because I had to transport this in my suitcase from San Francisco to North Carolina, I chose light and portable materials. I found this blog post helpful to figure out the basic structure of the light box. I found most of my materials at my local junk art store for around $20. I like using reusable and recycled materials. I used styrofoam, a roll of thick plastic (plexiglass acrylic sheets are ideal, but I couldn’t travel with it), Gorilla duck tape (get the kind that sticks to uneven surfaces), styrofoam glue, toothpicks (I used them to stick the styrofoam pieces together), LED lights, LE power adaptor, Upholstery nails (I used them to stick the papers into the styrofoam), and a good X-acto knife. Creating the first layer is the easiest part. 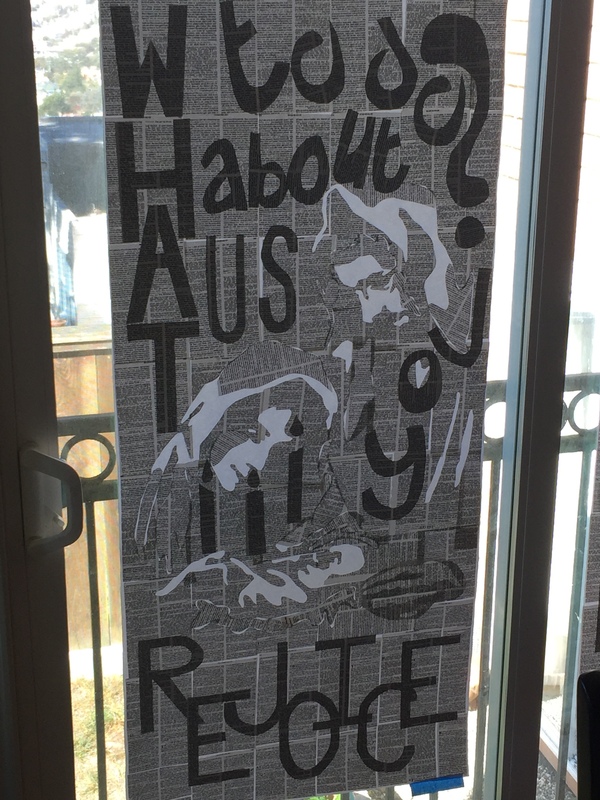 Cut the butcher paper to the size of your light box. 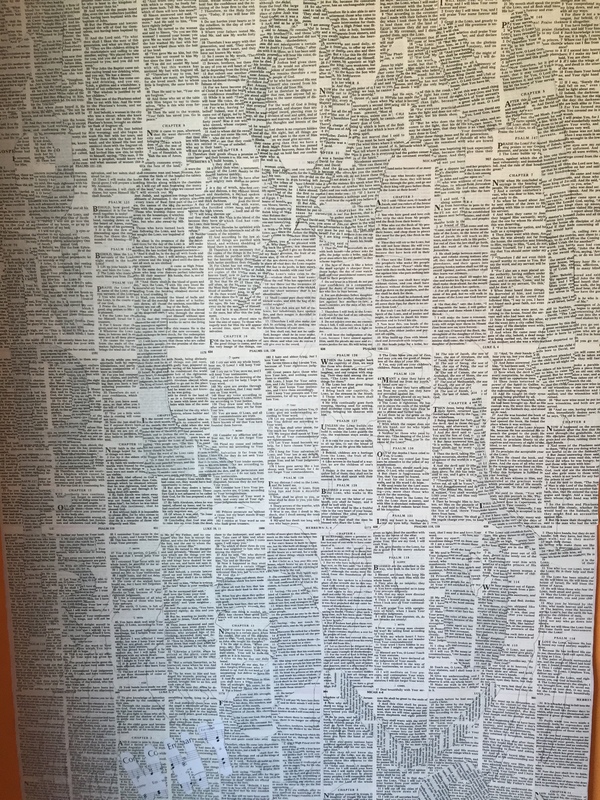 I find it easier to use an empty wall and tape it on the wall. I found old bibles that I could tear up and glued it on the butcher paper. Make sure you cover the whole piece of paper. I used the Scripture text from that particular Advent Sunday. I used glue sticks because I find that it makes the paper buckle less than white glue. 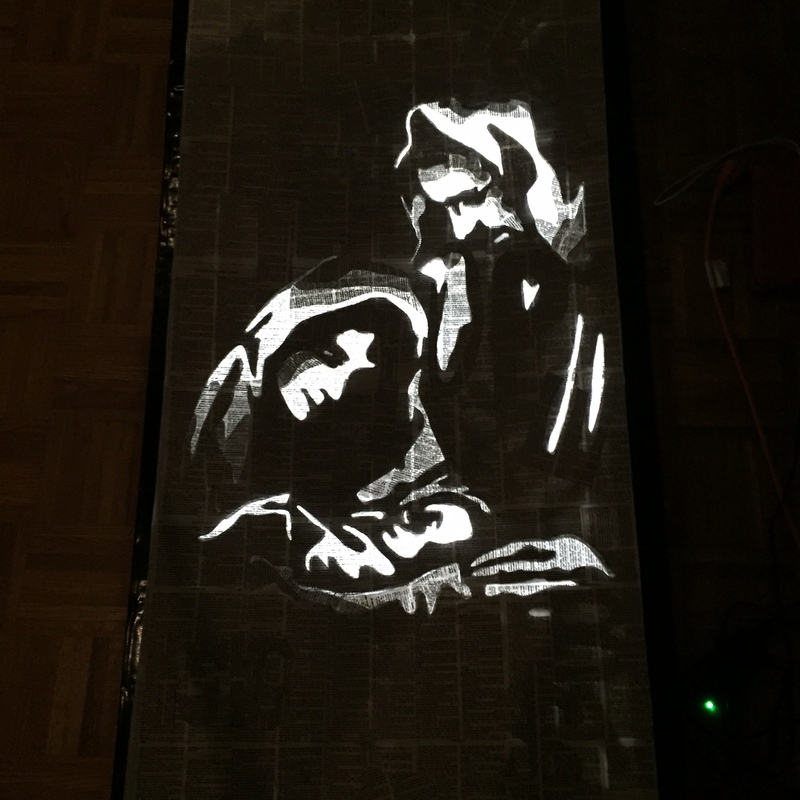 Using an overhead projector, I projected an image of Joseph, Mary, and baby Jesus onto the paper so that I knew what space to work around. You can choose any image you want, just make sure there is significant negative space and the image is simple. As you work through each layer, you will appreciate the simplicity of the image because it means less cutting and navigating around. From the scripture text, liturgy, hymns chosen for that Sunday, and the sermon, choose a few buzz words that you would like to illumine on the paper. 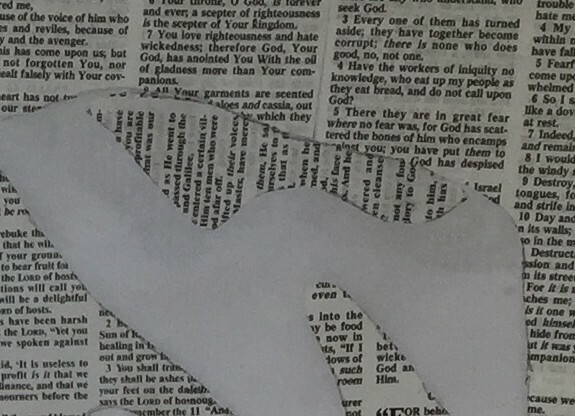 Trace and cut out those letters using the bible pages. 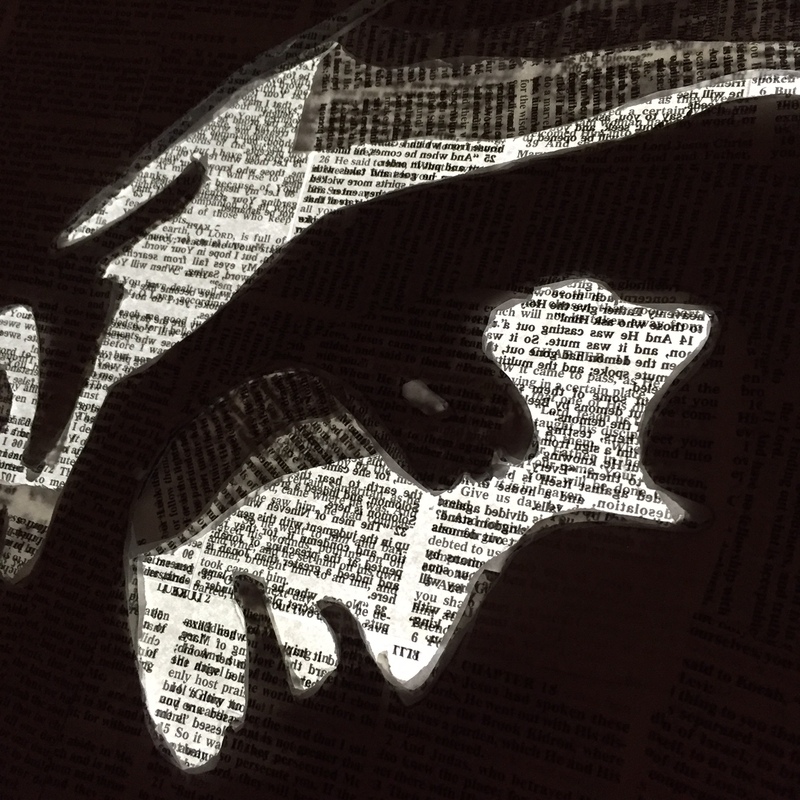 You will want to glue multiple pages together to create shadows. I found that gluing together 2-3 pages together was sufficient. 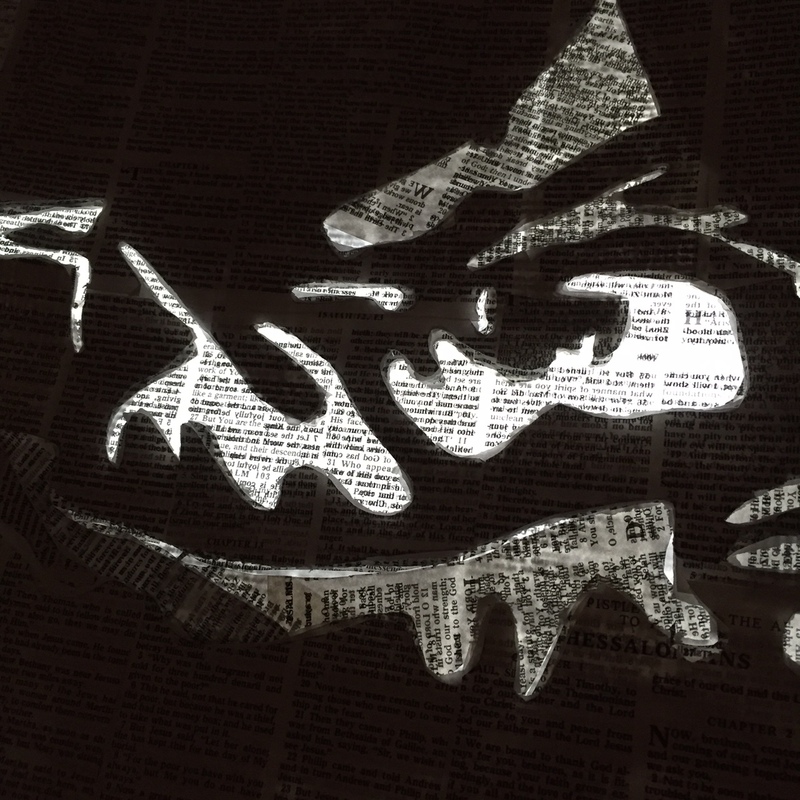 Glue the words on the paper, working around the projected image. Also, use the image to play with the formation of the words. For example, Mary’s face looked like a”?.” The point is to create the words around the image without giving away what the image is. I used my glass sliding door as a light box to check my work and see how the paper looked once I was done. From here, it gets a little more tricky and involved. 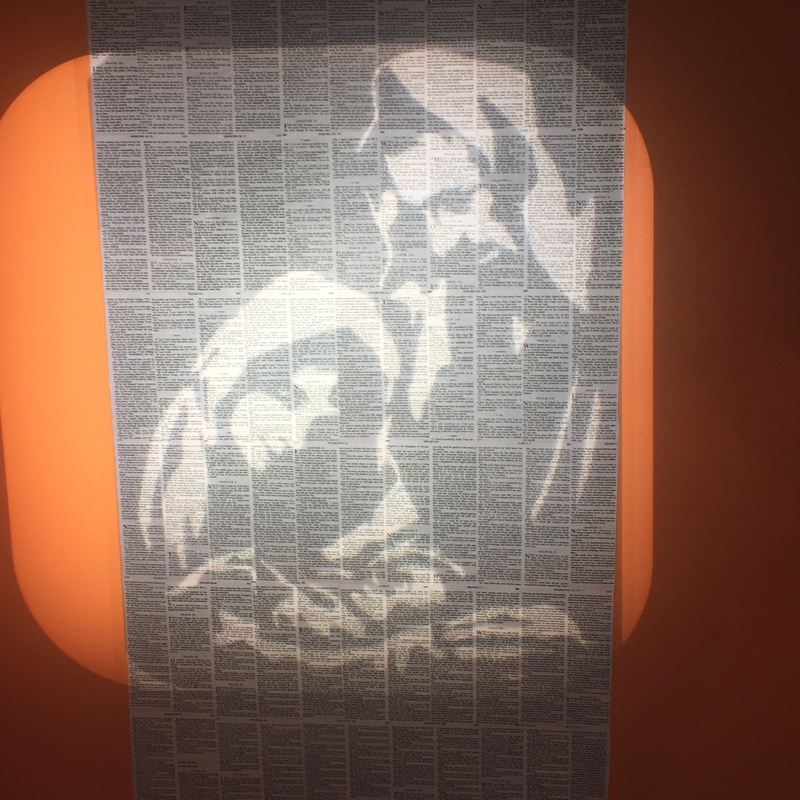 From the projected image, start gluing the scripture pages on the paper, but you will have to cut around the image. 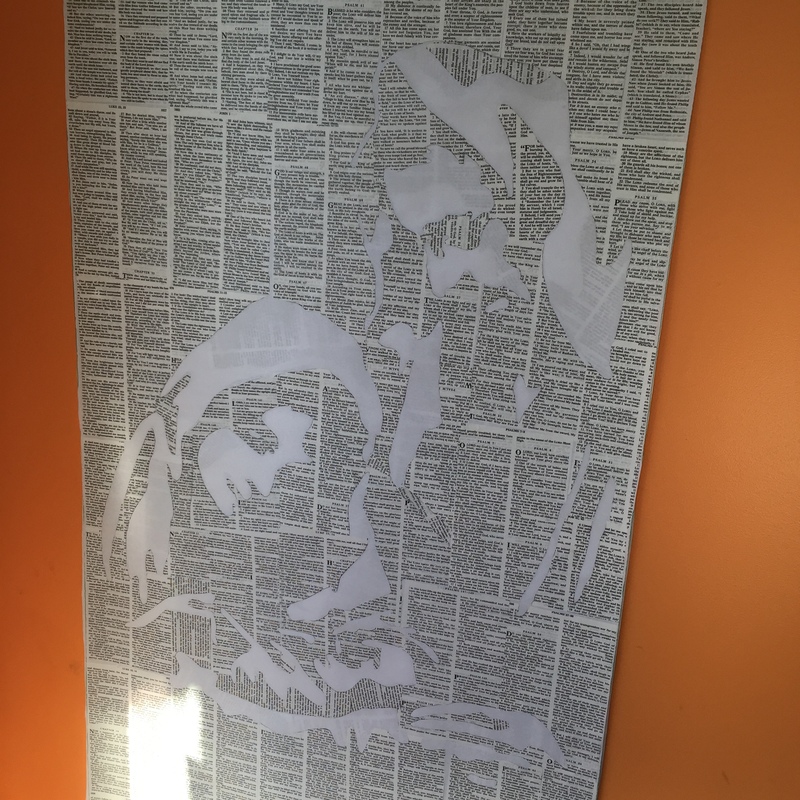 You do not want anything covering the paper where the image should be. The easiest way to do it is to place the page on the paper and trace with a pencil where the image projects. Cut and then glue it on the paper. 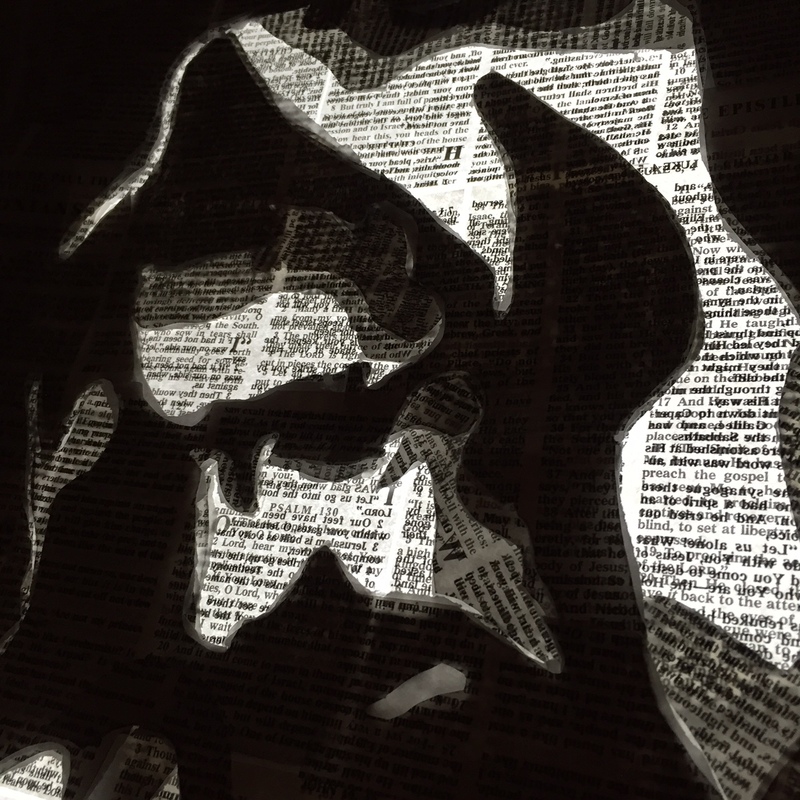 Once you have covered the whole paper, minus the space where the image is projected, you will want to add some extra paper on the projected image space in order to create a shadow effect. There is no wrong way to do this. Have fun with it. For example, I chose to add an extra piece here at the top of Joseph’s head. 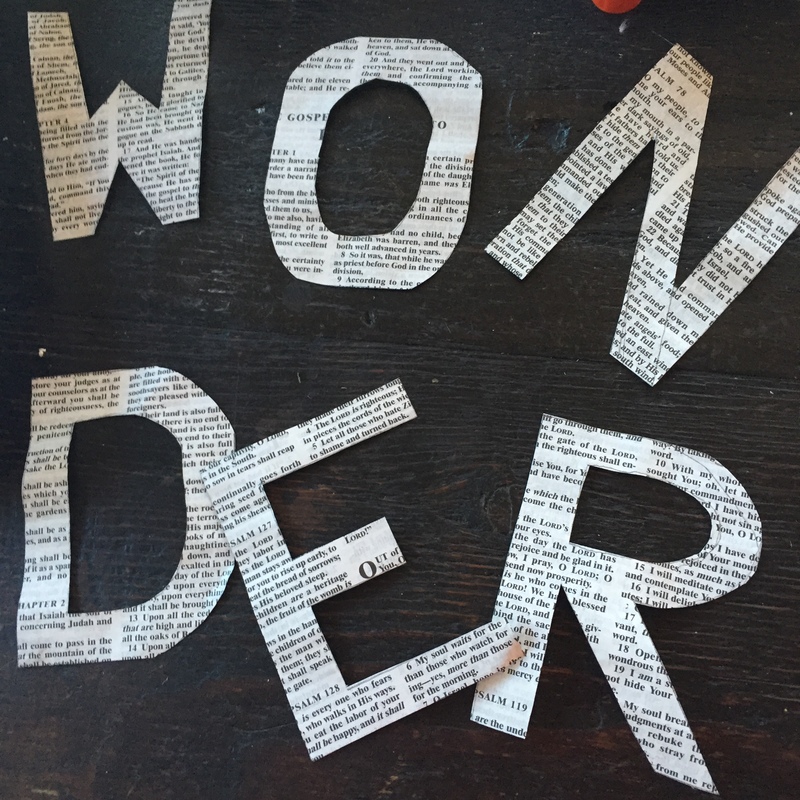 Next, follow the same process you did in layer 1, cutting out the letters to the words you want to illumine. Again, play with the image and let it influence the shape of your letters. Follow the same process as you did with layer 2, adding more shadows to the image. For the fourth Sunday of advent, you can do one of two things. You can add all the layers to reveal the final image or repeat the process of layer 2 and 3 and reveal the image on Christmas Eve. When revealing the image, stack all the layers in order on top of each other. I ended up gluing them together in spots to ensure that the images lined up and stayed put. I also ended up cutting through the white parts of the paper on layer 2, 3, and 4 so that the image would project brighter. Here is the final result when all the layers are stacked on top of each other. The cool thing about this is that when the light is off, you can not see the image. It isn’t until the light (of Christ) shines through that the image is revealed. A closer look, you can see why it is worth adding the extra text to create shadows on the image. It just adds depth. Also, each advent when the individual layers were added, I decided to add some temporary pieces to conceal the image a little more so that the image was not obvious. You can see how I temporarily covered the faces of Joseph, Mary, and baby Jesus. You will want to remove those pieces when you stack all the layers on top of each other. As each layer of advent is added, when the advent journey is complete, we see the image of the familiar Christmas story anew. 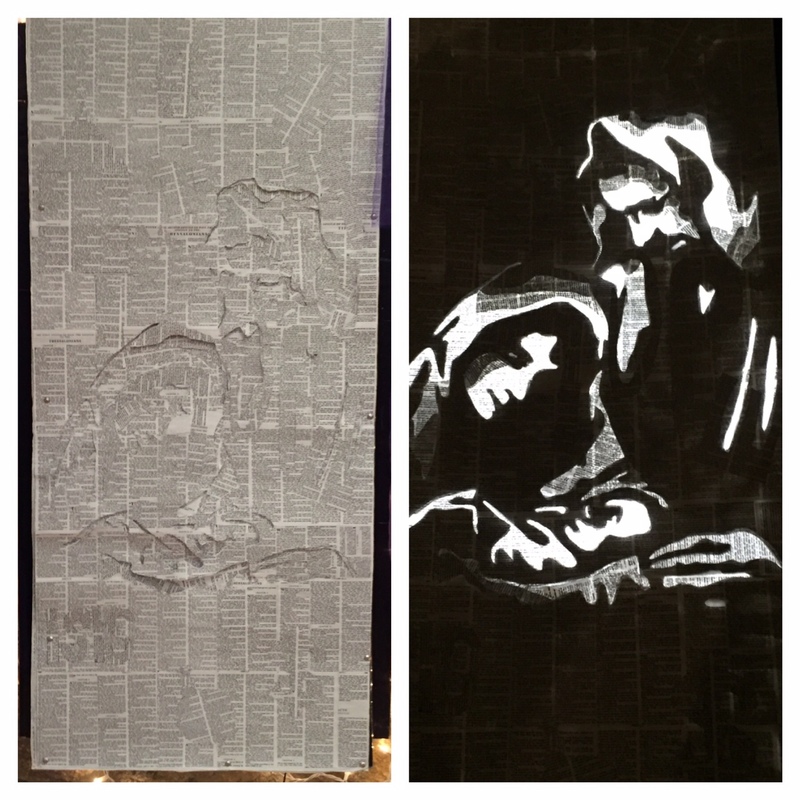 The light of Christ shines through illuminating this incredible story of good news.